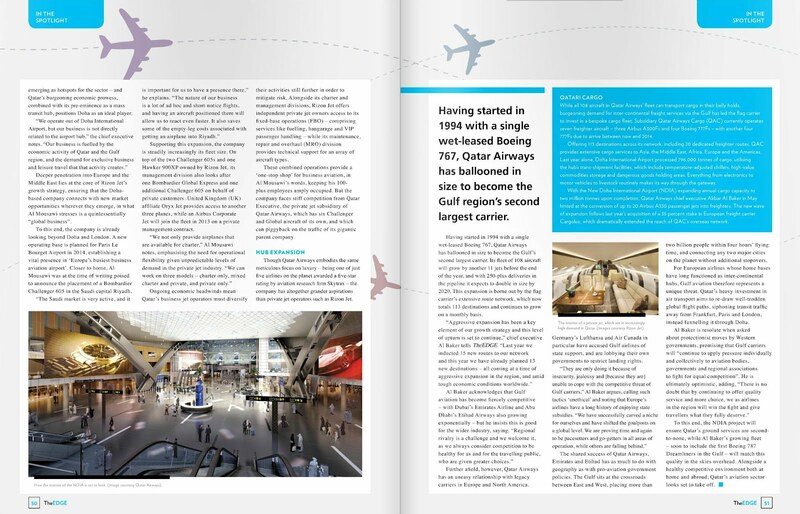 When the New Doha International Airport (NDIA) opens its doors on 12 December 2012, the Gulf's youngest aviation hub will be able to handle 12.5 million passengers per year – more than eight times the current population of Doha. By the time it is completed in 2015, the 5,400 acre site will be almost two-thirds the size of the capital. Qatar Airways chief executive Akbar Al Baker, who also heads up the development of NDIA, admitted last month that the project would come in more expensive than planned. His latest estimate pegs it at $17.5 billion (QR64 billion), and few will be surprised if costs rise further.